The Blademaster of the Burning Blade clan, Samuro arrived in Heroes of the Storm back in October. Fans were pleading for him to be added for a long time, and Dustin Browder even teased it months ago with a screenshot of Heroes of the Storm’s 2010 build that included a Blademaster. After an initial release that was less than perfect, with Samuro dominating each and every game he was played in, nerfs have finally brought him in line with other heroes. Now it’s time to dive into how best to master this newly-balanced Samuro. Samuro gains 25% movement speed for 2 seconds whenever attacking a hero. Not much to be done here but to try to use it to your advantage: sometimes it’s possible to use that burst of speed to get out of a sticky situation by hitting a hero then running. Also, use it to reposition between attacks. He’s got a fast attack speed, but a skilled Samuro can make small movements between attacks to keep up with their opponent. Samuro's key skill is Mirror Image, which allows him to create two illusions that attack enemies. These cannot be controlled by default, but generally attack the same target as the real Samuro. They have less health than Samuro, cannot use active abilities, die as soon as a tower, fort, keep, or core shoots them and deal less damage. Even so, they're perfect for confusing the enemy, as they’ll have to work out which one is real. Abilities that reveal cloaked enemies will, however, show which Samuro is real, such as Tracer’s Tracer Rounds or Lunara’s Natural Perspective. Mirror Image also removes any lasting effects on you, such as Lunara’s Nature’s Toxin, or Gul’dan’s Corruption, so it can also be cast to save yourself if one of those effects would normally kill you. Some abilities reset the attack animation, meaning you can hit two attacks almost instantly. In the case of Samuro, hit W straight after attacking, and you’ll attack instantly instead of waiting for him to attack normally. A simple ability, Critical Strike causes Samuro and his illusions’ next attack to deal 50% more damage. On top of that, every four attacks Samuro and his illusions will passively use Critical Strike. You can tell if his next attack will deal the increased damage if his sword is on fire, or you can watch the counter in the bottom left of the screen. There’s not much to do here, but the main thing to keep in mind is that you should try to use this ability after hitting the four passive hits then resetting your attack animation. The only way for Samuro to escape from a fight is with Wind Walk: he gains 25% movement speed and turns invisible for 8 seconds, losing the movement speed bonus after the duration expires or when he is revealed. For 1 second, damage won’t interrupt his stealth, meaning it’s an effective way to get out of a fight. It’s also a way to get onto an enemy hero who isn’t paying attention. Unlike Dota 2 or League of Legends, invisibility in Heroes of the Storm isn’t complete invisibility: there’s a shimmer effect where any invisible heroes are. If an enemy isn’t great at spotting that, Wind Walk can allow you to get up close before wailing down upon them. This is especially useful with one of Samuro’s heroics. That heroic is Bladestorm: Samuro deals heavy damage to all enemies around him for 4 seconds. He’s unstoppable during the ability, and can move freely. It’s effective at splitting the enemy team—as everyone instinctively runs—and at taking out enemies with a lower health pool. It’s also the much easier heroic ability to use. That’s because Illusion Master takes a leaf out of The Lost Vikings’ book. Take it, and Samuro’s illusions become controllable. On top of that, Samuro can swap places with any one of his illusions every 6 seconds. And on top of that, his illusions do 15% more damage when you take Illusion Master. It’s the heroic ability for players with enough skill to control three separate characters in a teamfight. When the proverbial hits the fan, you need skill and composure to play with three Samuros. Level 1: The typical Samuro takes Way of the Blade at level 1. The increase in damage for your Critical Strikes plus the fact that it occurs naturally every three attacks rather than four greatly increases how much damage you can put out. Way of Illusion, though, gives a nice attack buff if you’re able to complete the quest early, and if you’re playing very aggressively early on, it’s a fine choice. Way of the Wind is fun, and synergises with later talents, but means you’ll be running around more than fighting, which isn’t exactly Samuro’s purpose. Level 4: Two talents at level 4 need to be chosen depending on what you’re up against. Mirage offers some defense against spellcasters—Jaina, Kael’thas, Chromie, and so on—while Deflection helps you duel those who mostly attack—Valla, Tracer, Raynor. It’s up to you what you want to pick here. If you picked Way of the Wind at level 1, One with the Wind can help you to survive some heavy burst damage, but otherwise it’s hard to justify. Upping the time where damage doesn’t reveal you to 2.5 seconds with Way of the Wind makes One with the Wind viable, otherwise it’s not typically worth it. Level 7: It’s hard to put one talent at level 7 over all others. 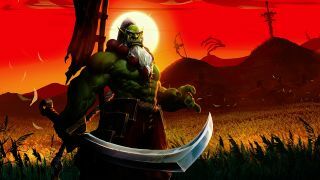 Burning Blade is typically chosen simply because it offers Samuro the ability to clear out waves of minions quickly, but it’s not the only good choice. Phantom Pain synergises well with Illusion Master and the level 20 talent Three Blade Style, while Crushing Blows means you can reset the attacks of both Samuro and his illusions twice in one fight, and works well with Way of the Blade at level 1. It’s typically based on your personal preference! Level 10: This is where you decide how confident you are in playing Samuro. Can you make the most of Illusion Master? For 95% of players, Bladestorm is the better choice, and that’s not just because Illusion Master is hard to use, it’s because Bladestorm is made to be effective in the hands of all players. The ability does huge damage, and is simple to use. If you’re able to split your focus across three characters, and do things like swap around to distract enemies and save yourself, do so, but, with that heroic, Samuro jumps from being a challenging character to play to one of the hardest in the game. Level 13: One of the issues with Samuro is that he can’t dodge abilities in the same way as someone like Valla or Li-Ming. Shukuchi at level 13 fixes that issue, giving him a short teleport when using Wind Walk. Mirrored Steel is useful if you’ve taken Illusion Master, and a good choice if you’re seeing your illusions dying quickly, but otherwise not typically a great pick, while Kawarimi is the ability to use if you want to confuse enemies. The issue with it, though, is that you can’t have more than two illusions at any one point, so it works against Mirror Image. Level 16: All three talents at level 16 are viable picks, depending on how you’re playing and your team composition. Merciless Strikes synergises with heroes that slow the enemy team greatly: Chromie, Arthas, Jaina, and so on. If you’ve got allies like that, Merciless Strikes is perfect. If you’re finding yourself often engaging on the enemy with Wind Walk, using it to get up close and personal, Harsh Winds helps you to kill them quickly, especially combined with a quick Bladestorm. Finally, if you’re often duelling enemies one-on-one, Press The Attack ramps up your attack speed massively, and helps in those duels. Whichever scenario fits you best should define your level 16 talent! Level 20: Finally, Samuro’s level 20 talents offer a few good choices. Dance of Death both means you’ll have another boost to your damage and won’t reveal which Samuro is real instantly, forcing the enemy to try and work it out themselves. Three Blade Style makes it nigh impossible for enemies to effectively work out which Samuro is real without a revealing ability. Wind Strider allows Samuro to, if he doesn’t break invisibility, remain invisible permanently, and Blademaster’s Pursuit prevents enemies from ever running from Samuro. Generally, the best choices here are the upgrades to his level 10 talents, Dance of Death and Three Blade Style, as they enhance the playstyle those heroic abilities push Samuro into. The other choices are for specific moments, such as if you’ve taken a Way of the Wind build or if your enemy is just too darn fast. With Bladestorm, Samuro is a great assassin for acting as a ticking time bomb. He forces the enemy to be constantly on their toes, because if Bladestorm is able to whittle down enemy health, it can spell death if they’re unable to kill Samuro, get out of the way, or heal it up. With Illusion Master, he’s adept at playing mind games and toying with his opponents. You don’t have to be a master at controlling three characters at once to play Samuro—Bladestorm is a good and effective heroic too—but it lets him shine in a whole new way. Samuro experts will use his other heroic to make him an overpowering force, but don’t focus too much on it as not all of us can be Illusion Masters. Your job is to take out enemies, and if you can do that, then you’re probably doing a good job.